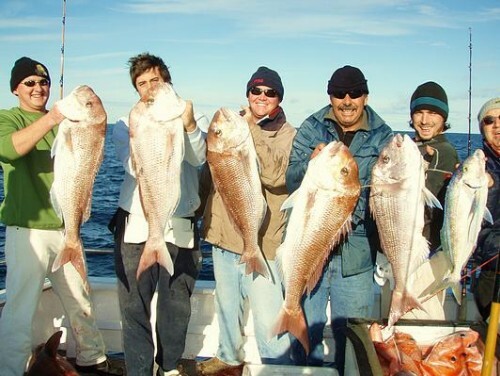 We run sensational deep off shore reef and blue water game fishing this state has to offer! 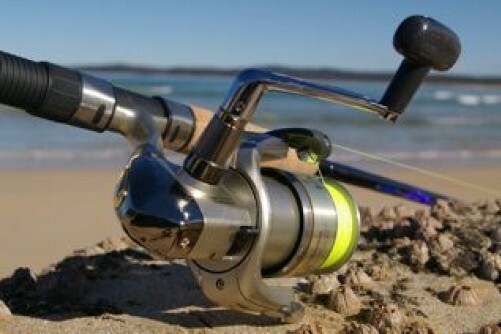 Pondalowie Bay is the closest departure point to fish one of the most exciting offshore areas of Australia. Located in spectacular Innes National Park. Marion Bay Departure point during the winter months is the gateway to Innes National Park. The area is surrounded by amazing deep offshore reef systems, spectacular islands & breathtaking scenery. 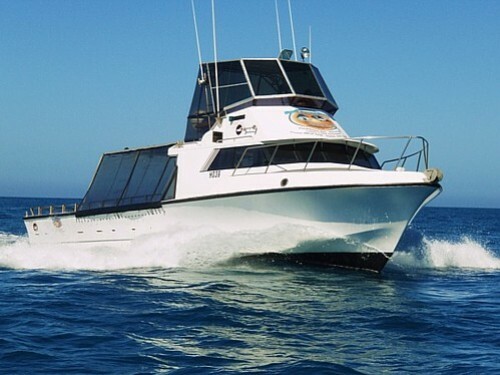 Fish for: Snapper, Nannygai, Blue Morwong, Tuna, Blue Groper, King George Whiting, Harlequin, Samson, Salmon, Kingfish, Trevally, Flathead, Sweep, Shark-Mako, Thresher, Gummy, School, Bronze Whaler, Blue, Seven Gill and more. Long Range Charter Vessel “Vixen 45” Harriscraft, 380 hp Scania Turbo Diesel, Deckhand. Transport SA surveyed to 12 passengers has a walk in flushing toilet with hand basin, galley with stove and fridge, ample comfortable undercover and in cabin seating, vast desk space and the latest electronics. Fishing Gear supplied is quality overhead and thread line outfits, Braided line, Tackle, Quality bait, some lures and jigs upon request. You are welcome to bring your own. Other Charter Packages are available – 1-2 day including accommodation, 3-5 day overnight live aboard, tailor made adventures. All very affordable – Small and large groups welcome 7 days a week, all year round, weather permitting. Price: $250.00 per Adult. including a nights accomodation. 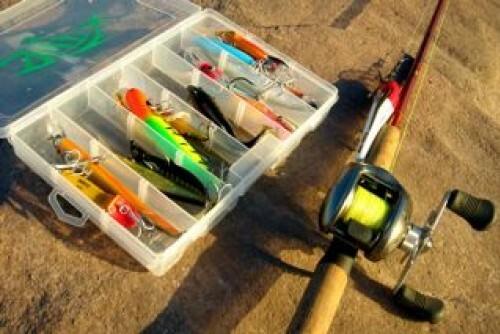 Inclusions: Fishing gear, bait, food and drink is NOT included. Well known for both quality and quantity of fish National Parks and Wildlife Licenses Tour Operator.